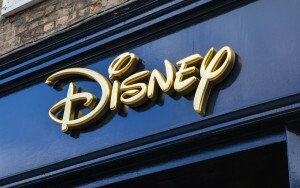 Walt Disney World in Orlando, Florida is facing lawsuits allegedly for conspiring to replace US workers with immigrants. Dismissed from work are tech workers, accountants and administrators, most of whom are still hopeful of getting rehired or finding new work within the company due to their length of stay and high performance ratings. The possibility of this, however, is becoming more and more distant as immigrant workers, mostly from India, with temporary H-1B visas are taking over to perform their work. The hurting thing is, most of the dismissed employees were even the ones asked to train their replacements during their final months with Walt Disney. The defendants in the (separate but with similar complaints) lawsuits which are being accused of intentionally collaborating with each other to replace American workers with H-1B workers are the outsourcing companies that imported immigrants and Walt Disney. US business employers are allowed by the government to hire foreign workers either on a temporary of permanent basis. Before doing so, however, they first need to acquire certification or documented proof from the Department of Labor (DOL) that no US citizen is available and/or qualified for the job, or is willing to take the job (under a specified wage amount). This certification is for the purpose of ensuring that the hiring of foreigners will not unfavorably or negatively affect the job opportunities, working conditions and salaries of US workers. Clearly, however, as stated by Ms. Dena Moore, one of those who filed a lawsuit, employees have been negatively affected. How, specifically? They lost their jobs. The H-1B visa was designed by the US Congress to allow foreign workers with special skills to be employed in the US. Jobs, like information-technology, engineering and accounting, are among the fields to which especially skilled and qualified individuals may apply for. U.S. War Against ISIS in Syria and Iraq: A Violation of the War Powers Resolution of 1973?